A young carer is defined as someone under the age of 25 who cares for someone with a disability or long term illness. It also applies to someone with an alcohol or substance abuse difficulty. 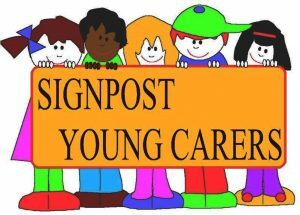 At the Signpost groups the children are taken on excursions, create art projects and have the opportunity to talk to other young carers. 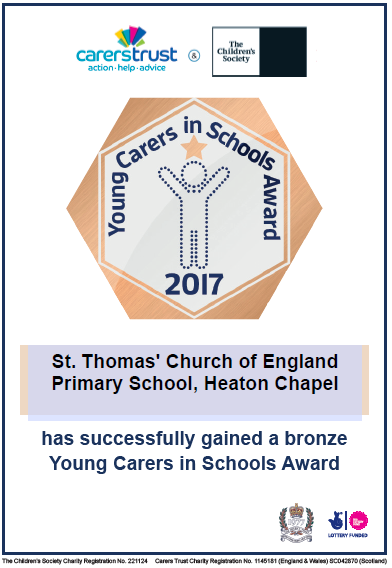 At St Thomas’ we are competent at identifying and referring our young carers to Signpost who are based in Heaton Moor. We have a display board in school for awareness and self-identification, and all our teachers are aware of who our young carers are and the demands faced by these children. The young carers are offered an open door policy if they want to discuss any issues and meet up as a group on a Friday afternoon. They also have access to the Mindfullness sessions and can come to the Lego group if they wish. My name is Mr Campen. 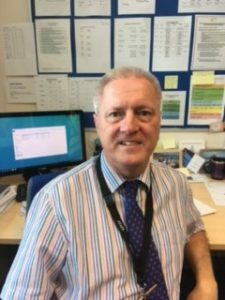 As deputy Headteacher I am the formal lead for our young carers. It’s my job to make sure our young carers feel valued and have someone to talk to at our school. 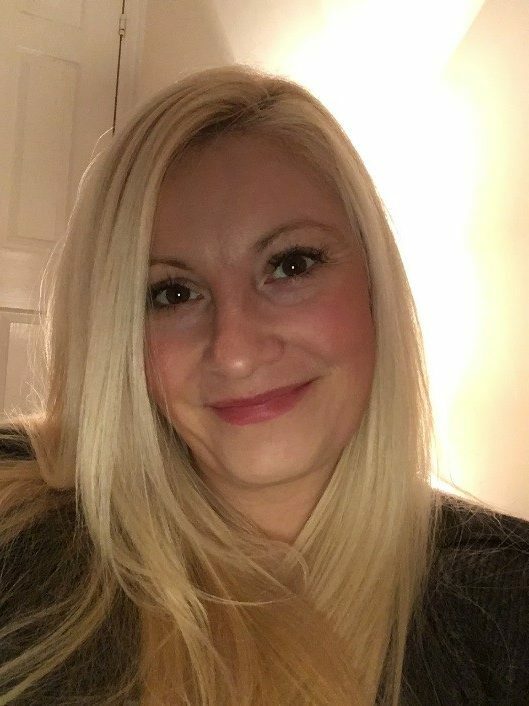 My name is Mrs Boardman. I am the operational lead for our young carers. It’s my job to make sure our young carers know where and when they can come and talk to me. They need to feel valued and supported.